Fresh sounds! 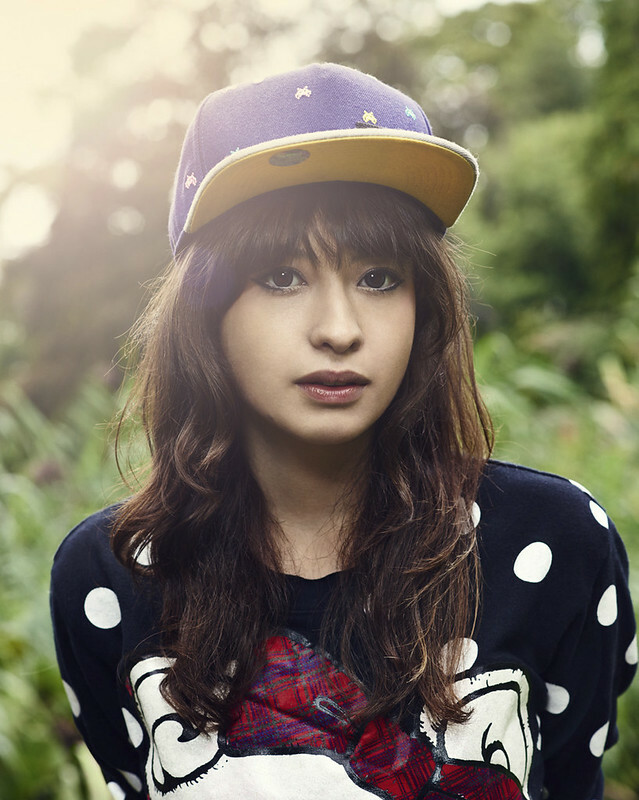 You'll get 'em with Kero Kero Bonito, a trio of musicmakers from London. In particular, you'll find 'em on their debut album, Intro Bonito. Mixing videogame sounds with J-pop, dancehall, MIDI aesthetics, seasoning with cute vibes and wonderfully inane / fun subject matter, it's pretty much a perfect intro to the band. Fresh sounds! You'll get 'em with Kero Kero Bonito, a trio of musicmakers from London. In particular, you'll find 'em on their debut album, Intro Bonito. Mixing videogame sounds with J-pop, dancehall, MIDI aesthetics, seasoning with cute vibes and wonderfully inane / fun subject matter, it's pretty much a perfect intro to the band. Oh—! and Sarah, the singer / rapper, sings / raps in Japanese and English – she's half Japanese. There is something at work here that can appeal to fans of cute music, fans of big beats, to fans of Japanese music, to actual Japanese people. And this particular something is wholly un-regional; there is no room here for a "London" sound, nor a "Japanese" one. It is universal. And that universality is something that shows in the remix EP, geniusly titled Bonito Recycling, that they announced yesterday (but it's out officially on 29th September). How? Well, the artists doing the remixing are all very different online friends & URL producers. There's LA-based crafter of heart-warming jams, Spazzkid; the producer of dream-flavoured tracks, et aliae; purveyor of funk, Toby Gale; London superproducer and VGM composer, bo en; Danny L Harle and Kane West, two associates of the nuts / avant garde label, PC Music. This gives you a lil idea not only of KKBs' fanbase, but also of the syncretic influences on the band's music. Mainly though it's their intense fun-ness that shines through. Everything is bright and comfy, robust and soft-edged, innocently danceable. And it also turns out that the fun doesn't necessarily start or stop with the music – it's who they are. I mean, you can tell by the pretty genius way in which they answered this Q&A: it's short, succinct and illustrated with YouTube videos. Just the way we like it. You released your debut album (mixtape?) recently, how has that been for you? Someone said we were "blowing up", but we're still intact. But you released it last year, why did you decide to re-release with Double Denim? Did they approach you or…? They approached us with $$$$$. Had you made music together before this album? Yes! It's top secret though. So, how and when did you all meet? Gus and Jamie were school friends. They found Sarah on MixB last year. [This is MixB]. Kero Kero Bonito. Can you explain? Intro Bonito is a fitting name for the fresh sound. Were you aware that what you were making for the album was so unique? Especially so for London. Intro Bonito is an introduction to our world. Show us yours! There are so many different genre and stylistic flavours going on. How do you make it all work? Or is it not something you think about? What are some of the most conscious influences on the album? People who make small music big. Were you listening to anything in particular when you were writing/producing/recording? Particular elements, like the melody, vocals, and beats, seem to all be at the forefront. Are you each like "in charge" of these elements, or do you operate as a group? Only Sarah can rap in Japanese. Jamie and Gus are just eye candy. I love games. Who else likes games? I mean, there are references in some of your lyrics and some of the more VGM-inspired tunes & sound FX. We all love video games. Video game music is special. It tells you everything you need to know. Super Smash Brothers. Earthbound. F Zero GX. How big a role does Japanese culture and music play in your music? Quite big - Sarah grew up there. Everyone played Pokemon - we're all influenced, even if we don't realise it. Cats and dogs, strange babies, jelly & ice cream… Where does it come from? And why rapping? They're more fun than love, politics etc. How do you decide what's said in Japanese and what's said in English? Is this consideration for a Japanese audience? Whatever sounds best. We love our Japanese fans! Are you proud of Intro Bonito as a whole? It's been really well received. But since it's been over a year since these songs were first written, what do you think you'd do differently now, say if you had to re-make it for some reason? We wouldn't change a thing! It's the perfect Intro Bonito. That was a little jump into the world of Kero Kero Bonito. A very big thanks to them all for taking the time to answer our questions and be photographed in the wild (cool pics aren't they). Um, oh, FYI "kero kero" is what frogs say in Japanese… or it's what Japanese frogs say, like this: ケロケロ～ (tilde can be omitted). Anyway… good news! If you wanna see this lovely bunch live and in front of you playing their music, then you can go check 'em out this Saturday, 20th September, at The Bunker Club in Deptford, London, where they'll be celebrating the release of Intro Bonito from bedtime (10pm) until three in the morning. There are "secret special guests" too. It's a massive bargain: £5 a ticket. You should go!